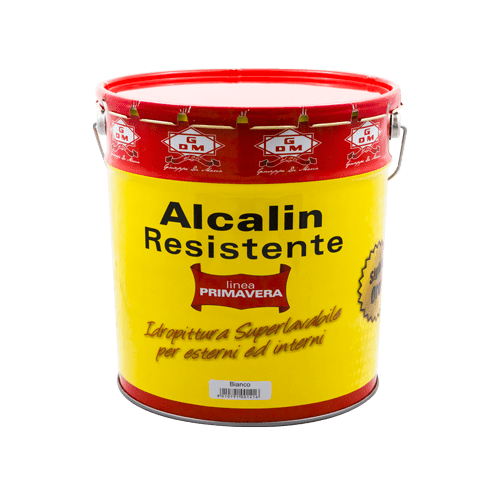 Alcalin Resistente Sigillo Oro TR - Giuseppe Di Maria S.p.A.
Alcalin Resistente Sigillo Oro TR is a water-based and super covering paint, washable, wetness and alkali resistant. It endures any kind of aggressive atmospheric agents such as sea salt, urban smog and other pollutants in the air. Thanks to its degree of opacity, it’s possible to make overlays without shadings or overlapping colours.